For years now, we’ve been debating whether minimalist or maximalist running is ideal. In the ‘minimalist’ track, there are runners who are training on asphalt and concrete, and even competing in road races. Proponents of barefoot running include marathoners and triathletes who find that they have more stability and fewer injuries when running barefoot than they experienced while running in shoes. Maximalist runners, on the other hand, swear that super-padded sneakers make them feel like they’re running on pillows. They feel less of the road’s impact, and they assume that means they will be less susceptible to impact-injuries. Even so, studies are coming out that puts maximalist running in a less-than-positive light. Apparently, heavily-padded sneakers change your gait and make you more susceptible running injuries. That can’t earn a gold-star recommendation from me as a podiatrist, either. So, the only thing left to do is take a closer look. Unfortunately, both camps could be facing injury issues. But, since barefoot running is a topic that inspires so much passion, that’s the topic I’ll explore today. This is the dilemma I face: How in good conscience do I, a podiatrist focusing on runners and sports medicine, tell people that running on hard surfaces, without the protection of a shoe or support from an orthotic, is okay to do. This violates most of my training and certainly goes against common sense. A shoe, after all, absorbs shock and will cushion the blow of an unforgiving surface. According to studies from the University of South Australia’s Sansom Institute for Health, runners should be choosing their sneakers based on how much they weigh. Over the course of study, researchers followed 61 runners over a period of 26 weeks. During that period, runners who weighed over 85 kilograms (just over 187 pounds) were three times more likely to sustain an injury if they trained in light weight (minimalist) sneakers instead of conventional sneakers. Conversely, runners who weighed less than 71 kilograms (156 pounds) and wore lightweight sneakers actually saw their running performance improve without any additional risk of injury. What’s the Problem with Barefoot Running? The most well-known barefoot runners are the Kenyans who are always front-of-the-packers at most international marathons. Inspired by these Kenyan athletes, Josh Stevenson made international news in February 2009 by racing and completing the grueling New Zealand Coast to Coast Multisport event while barefoot. It was his eighth time competing in the race and he went in with the attitude "If I can do it in bare feet, hopefully I can inspire other people to do it in shoes." He also said that he would not compete barefoot again. Such is not the attitude of true barefoot runners. Barefoot runners will run in all weather. Some will wear waterproof socks in cold weather. Others will run barefoot despite the climate or surface. Many boast wonderful benefits of barefoot running, such as injuries decreasing, a visible increase in arch height. There are shoes, such as the Nike Free and Vibram Five Fingers that may be used to either ease people in to running barefoot or for providing protection if an environment is just too dangerous to run in while barefoot. There are many Houston runners who have made the switch to a minimalist shoe. Whether the Vibram Five Fingers, Nike Free, New Balance Minimus, or countless others, the underlying philosophy is the same. The shoes are designed to promote as close to a natural "barefoot" gait as possible. Is it EVER Safe to Try Barefooot Running? If running barefoot intrigues you, should you give it a try? Well anything in moderation can't hurt. My recommendation is to give it a try on a controlled surface, such as a rubberized track, and see how you do. Barefoot runners will say that such a surface is not good and a smooth concrete surface is best. I respectfully disagree with that. Running barefoot will provide a very significant change in mechanics, so you need to ease into it. Running your regular workout in shoes one day and barefoot the next will expose you to injury. There are those, however, who should not even attempt barefoot running. People, with diabetes, peripheral neuropathy, or other medical conditions that result in a numbness of the feet or a decreased immune system, should not run barefoot under any circumstances. One of the stated benefits of barefoot running is the runner having heightened sensation beneath their feet causing them to run "lighter." When there is a medical problem that causes a decrease in sensation, these benefits are negated. 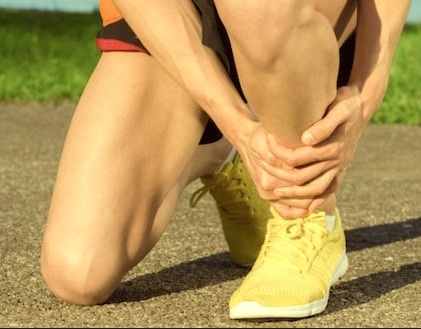 Furthermore, the inability of a runner to not acutely feel their surface will open them up to injury, as well as the added danger of stepping on a sharp object and not feeling it. This can lead to infection and puts the limb in danger. Runners who have very significant mechanical issues or deformity, such as previous foot surgery on bones, clubfoot, injury to tendons, or even extremely flat or high-arched feet should exercise extreme caution if attempting barefoot running. The unique biomechanical conditions that exist in these situations put the barefoot runner at risk of further injury. Serious barefoot runners may disagree, but the mechanical imbalance in such feet will be exacerbated in barefoot running. A more obvious concern with barefoot running comes with various surfaces. A looser gravel surface will run the risk of a more focal issue on your foot. A trail will have a surface of twigs and sharp rocks that can cut and imbed themselves in the foot. Even a safer and more even surface can have errant rocks and broken glass that may not be seen. Any place that you run or walk barefoot must be examined well to avoid such hazards. As with any new activity, one should proceed in a slow and cautious way. In something as comparatively extreme as barefoot running, caution must be exercised. And what about runners who have discovered they need the support of an orthotic while running? How will an orthotic work with running in a minimalist shoe? The answer: It won't! A minimalist shoe usually doesn't have the room to accommodate a custom orthotic and the two just don't work well together. My recommendation for those running successfully in a minimalist shoe is to continue to do so. That said, only 10% of your day is running. A custom orthotic in your casual and work shoes is just as important. This will influence your mechanics during the day and you should even find a positive carry-over effect on your orthotics-free run.